But one would question why I’m even making a beer soup at all considering how much I hate it. The smell and the taste especially. Then again, the smell holds me off from even trying it most of the time. I’ll stick to my cranberry juice thank you very much. But you see, it’s Oktoberfest! I know we’re nearing the end and honestly I thought for sure it’d be at least in the middle of the month and not the very beginning but you can enjoy this soup all winter long. Let’s call Oktoberfest the beginning of soup season, unofficially of course… especially since I’ve already shared not one but two soups. I can’t help it. I love fall and all things comforting and delicious. I see you’re in full agreement so let’s continue. Cheese goes with pretzels. Pretzels go with beer. Beer is what Oktoberfest is kind of all about (right?). And Oktoberfest means lots of bratwurst. Thus… a cheese-tastic beer soup with chunks of seared pork sausage. I contemplated adding potatoes, but didn’t. In the future I’ll absolutely add them in to add more bulk to the soup but feel free to leave them out … or add them in… whatever you prefer. Finish off Oktoberfest by grabbing your slow cookers and having a delicious weekend! To your slow cooker add chopped onion, minced garlic, shredded and chopped carrots and optional potatoes. If using potatoes, peel and slice into 1 inch cubes. 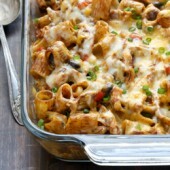 Sprinkle with seasonings and shredded cheese. Pour in chicken broth and beer. Cover and begin cooking for 4 hours on high, or 8 on low. Meanwhile, in a skillet over medium high heat melt butter. Add whole bratwurst, searing on each side. Remove, slicing into 1/2 inch discs. Return to skillet to sear on each side. Remove and slice each disc in half. Carefully add to slow cooker. Cover and continue cooking. In your last 30 minutes of cooking, remove 1/2 cup liquid to a large bowl. To it add flour and heavy cream. Stir well. Return to slow cooker giving a good stir and replacing cover to finish cooking. May be stored chilled for up to several days. Yuuuummmmmyyy! 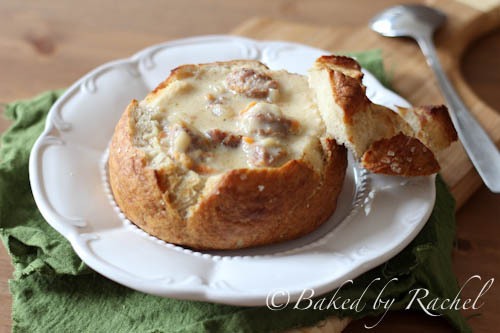 I made a cheddar ale soup in pretzel bowls last year and couldn’t get enough! I’m not much of a beer fan either but you can’t go wrong with a cheese soup! 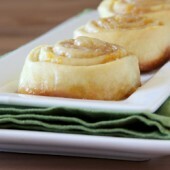 What a delicious looking dish that is perfect for these fall/winter days we can expect any moment! i cannot wait for the pretzel bowls!! OMG yes please. Seriously this sounds like my kind of meal! I hear you! It’s Octoberfest – bratwurst and beer are allowed for daily consumption, j/k. Amazing. I hope i can get my hands on a pretzel boule like that! I’ve never liked beer cheese soup much either, but I’m pretty sure I’d eat the crap out of this! :) Happy Oktoberfest! I love those bread bowls! I’ve never tried beer cheese soup partly because I’m afraid I’ll be disappointed after how incredible it always looks, but I might have to give it a try! Now this has my name written all over it! 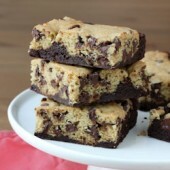 What a satisfying recipe! Thank you for sharing…and whetting my appetite for dinner. I hope you have a wonderful weekend! my husband is salivating over my shoulder reading this! I do wonder why you would make something you hate…life’s too short! But though I’m not a fan of beer; I love it in bread and combined with cheese…go figure huh? I’ll eat your portion; how’s that? Happy Oktoberfest….My husband would die if I made this for him. score for wifey…now I can’t wait for pretzel bowl recipe!!! I’m not a beer drinker but it goes well in soup and chili. This is perfect! 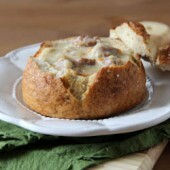 This looks like heaven in a bread bowl! YUM! I think I just drooled on my keyboard. 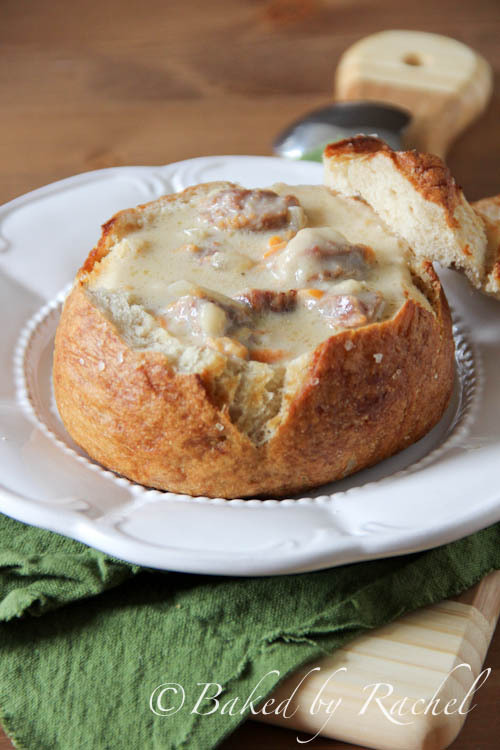 I love hearty/creamy soups such as this and you know i’m a carb-o-holic like you so that pretzel bread bowl is seriously something to die for! Hi! I’d like to freeze this to take to a soup swap party. Any reason not to freeze it? Sounds yummy- thx for sharing! Hi Amber, Honestly I can’t be completely sure how this one would freeze. I’d only be concerned with this one due to the cheese. Typically most soups and stews can be frozen and reheated but those I’ve frozen haven’t had any dairy in them. I’m sorry to hear you had trouble. Unfortunately I don’t know what could have gone wrong for you as there are many factors with cooking something as this… the temperature your slow cooker was cooking at (all models vary and even more so from older to newer models), certain brands of cheese don’t melt as easily as others, if it was a larger batch etc. I haven’t heard of anyone else having an issue such as you mentioned. How many servings does this recipe make? What size crock pot was used? I am planning to make it for a potluck, so I want to make sure that I have a good amount. Thanks! It’s been several years since posting this, however my best guess is 6-8 or more with much smaller servings. A 5-6qt slow cooker should be used. Just made this soup for my co-workers. It was easy, VERY tasty and rich and filling!!! Served it with pretzel buns and everyone loved it. Will definitely be making this again!!! Thanks for the idea! Made this dish using Samuel Adams Oktoberfest beer and sour dough bread bowls from panera bread. I love love love this soup! I thought all the favors blended very well together and will be making this again when it snows and I’m in need of something to warm me up. Very good job!